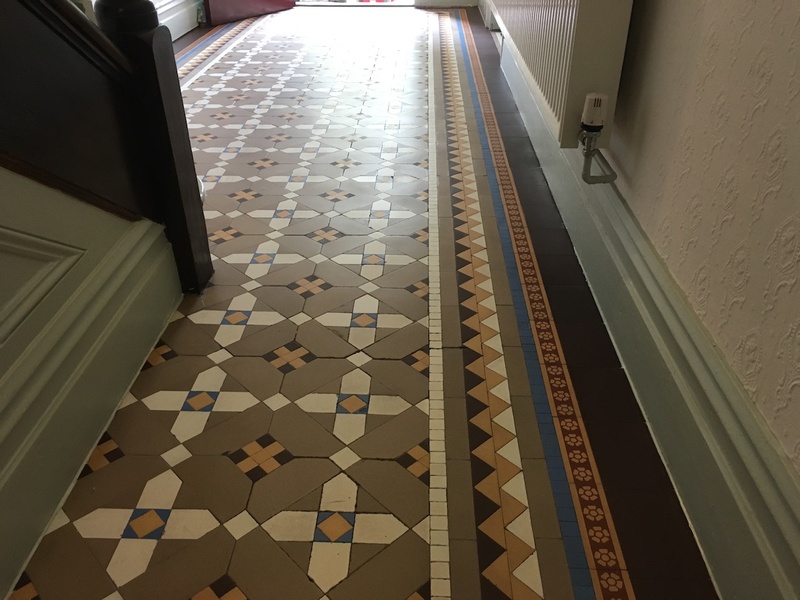 A home owner who lives in the old market town of Oswestry in Shropshire called me in recently to work some Tile Doctor magic on their Victorian Tiled Hallway. They had been refurbishing the house room by room and had left the hallway floor until last. 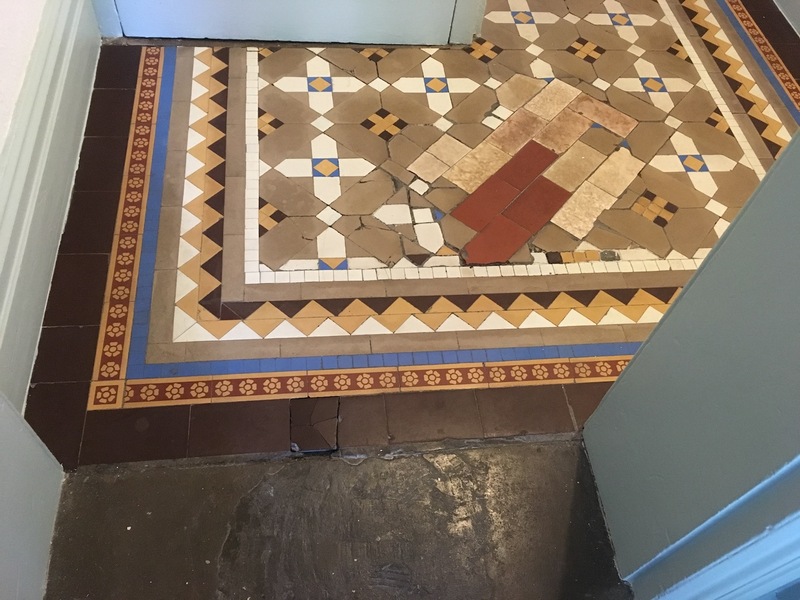 The previous owner of the house had repaired part of the floor at the far end of the hallway with an odd selection of unmatched tiles. The result was a bit of any eyesore and I’m surprised it hadn’t been covered over with carpet which is what most would do, the only good thing about the repair was that it had been laid level. 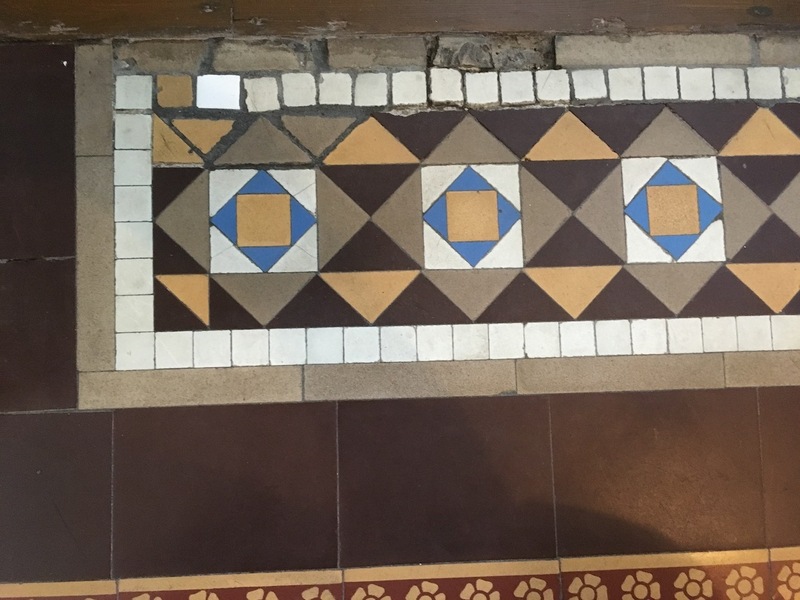 There were several other areas were tiles were loose and would need relaying and a section where holes had been drilled into a couple of tiles damaging them in the process. In total I estimated there was about two square meters of tiles that would need relaying; I would be able to use some of the original tiles that had become loose, but it was clear I would need to track down some replacements either from a reclamation yard or from a retailer if I could find a match. 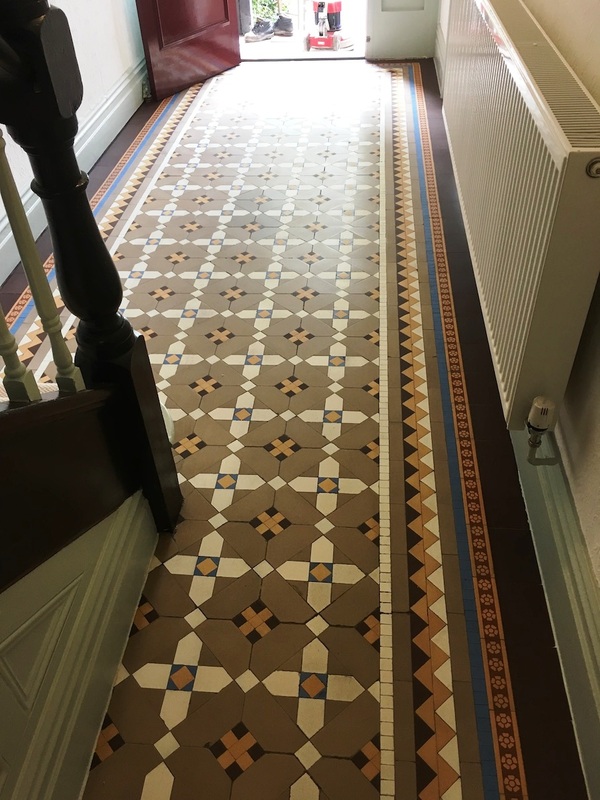 As it turned out I managed to source the replacements without too much trouble, Victorian Tiles are still very popular today and there are a number of UK companies that still sell them. My first task was to remove all the loose tiles and carefully remove what I’m going to call the eyesore. I have a handheld power tool that makes light work of removing grout which came in very hand and then once the grout was removed the tiles were prised out. The old grout and adhesive were then scraped off the sub floor, so the replacements could be fitted. 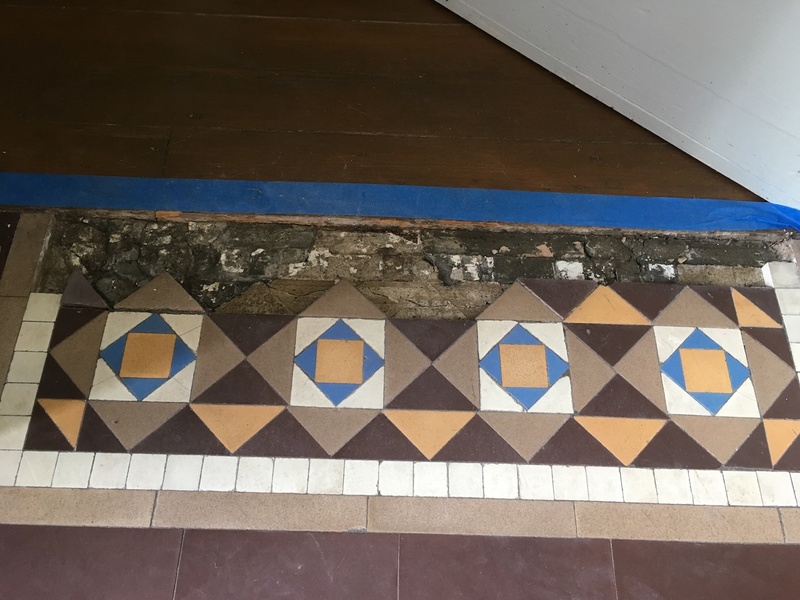 With the loose, damaged and eyesore removed it was now a question of cutting replacement tiles to match the existing pattern and then fix them into place with fresh adhesive. 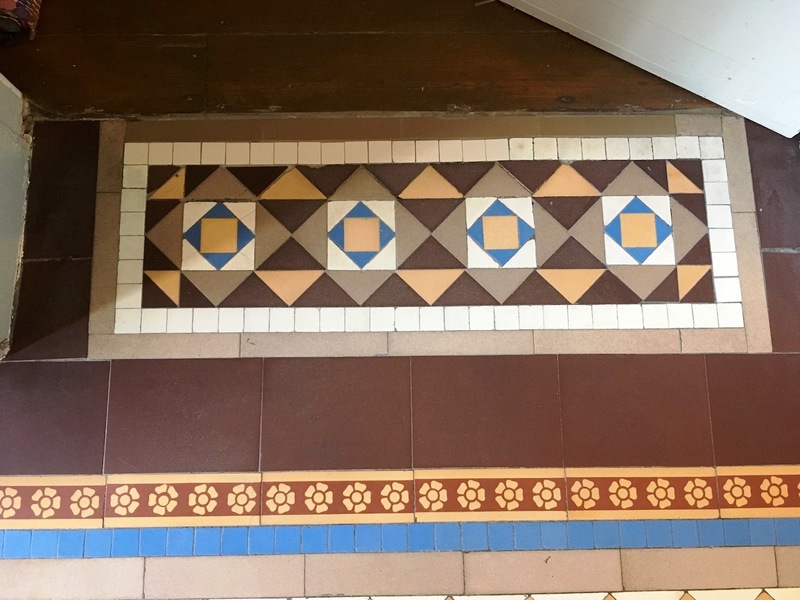 This activity took up much of the first day and before leaving the tiles were grouted in, so they would be secure for cleaning the next day. Day two was all about deep cleaning the entire floor to remove any old coatings and ingrained dirt in the tiles. 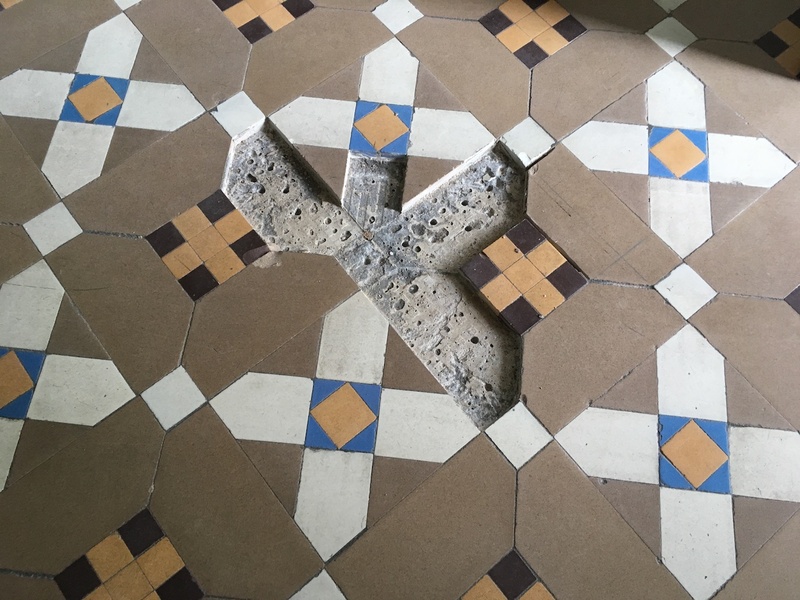 I did this using a strong dilution of Remove and Go which was left to soak into the tiles for a while before being scrubbed in using a rotary machine fitted with a black pad; the resultant slurry was then rinsed away with water and extracted off the floor using a wet vacuum. There were some stubborn paint splashes from decorating that needed dealing with, so I gave these a spot clean using more Remove and Go and plenty of elbow grease. The floor was then given a final rinse to remove any trace of cleaning product and then dried as much as possible with a wet vacuum before being left to dry off fully overnight. The tiles must be dry before sealing and after testing the floor with a damp meter I confirmed that the floor was indeed dry. I had previously discussed sealers with the owner he had opted for a matt finish. I decided that Tile Doctor Colour Grow would be the best choice of sealer to apply, it’s an impregnating sealer that leaves a matt finish and works by occupying the pores in the tile protecting it from staining from within. It also enhances the natural colours in the tile, only two coats of sealer were needed. The floor now looks fantastic and most crucially the eyesore has gone. 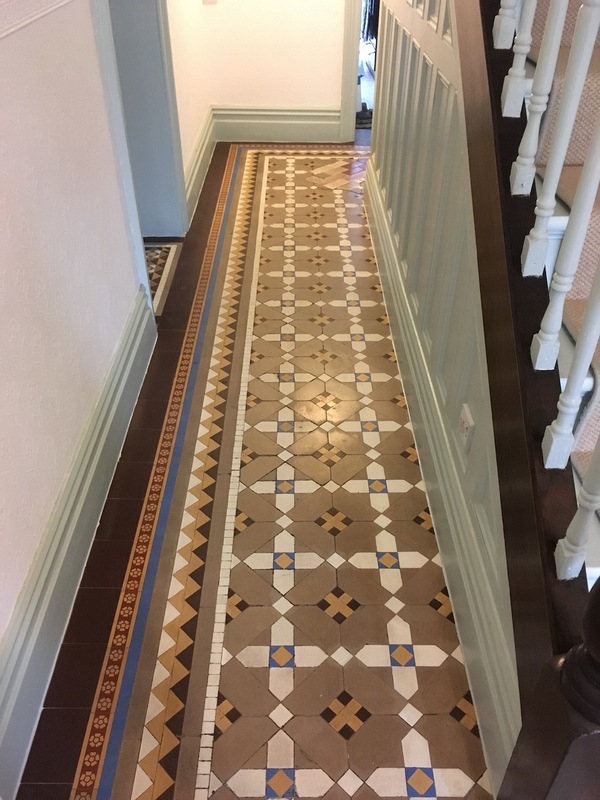 This entry was posted in Victorian Posts and tagged Grout Removal, loose tiles, paint spots, Repaired, Replacement Tiles, Restored Oswestry, unmatched tiles, victorian tiled hallway by AbzDominise. Bookmark the permalink.